This locomotive is based on the North American C19 Class 2-8-0's which ran on the North American 3ft gauge. They were wood burning 10-wheelers which ran during the 1880s. This model was built to the established John Milner design and is named after a small Canadian town. 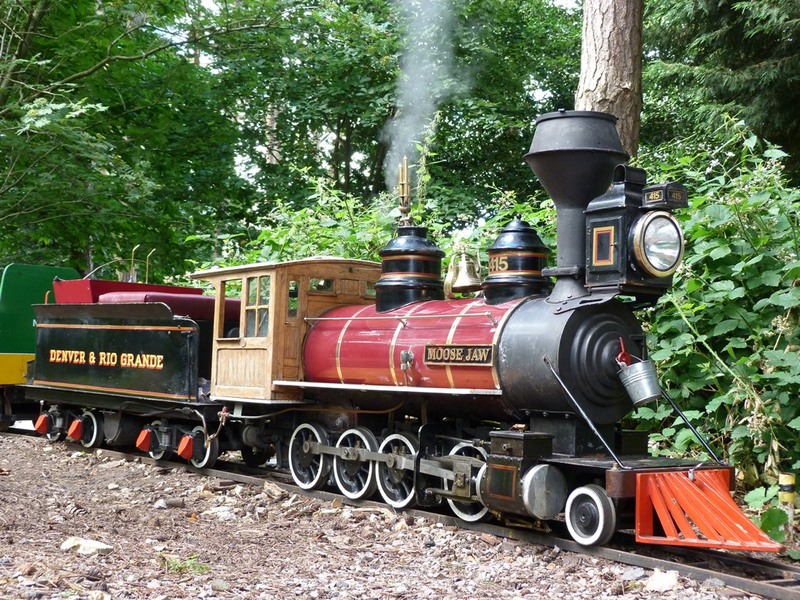 The loco is 128" long has 3.25" cylinder diameter and weighs approximately 1350lbs, with a working boiler pressure of 110 psi. You can see it in action on You Tube by clicking here.